Jewish Immigrants Competed with Galveston's Former Slaves in the Beginning. It was about this time of the year in 1881 that Russian Czar Alexander II was assassinated, and on that Easter Sunday large scale pogroms began all over Russia. A pogrom, by the way, is an organized massacre of an ethnic group. Just as had happened when Jesus Christ was nailed to the cross almost 2,000 years before, masses of Russian peasants decided that the Jews had killed the czar. It is theological folly that "the" Jews killed Jesus. And it is historical folly that "the" Jews killed Czar Alexander II. Nevertheless, many Russian Jews were savagely beaten while others had their homes burned down or ransacked or destroyed. The Russian government, although it knew the truth, did nothing to protect its Jewish countrymen; in fact it encouraged them to move away even though Russia was the country of their birth. So solely for survival, the Jews began finding ways out of Russia, and quickly. By the thousands they came to the harbors of New York, Boston, Philadelphia and Baltimore. There were few jobs and there were relatively no support groups set up to help them integrate into their new country and community, or even to assist them to find jobs. Consequently, it wasn't long until the Russian Jews were bunched together and those areas became slums and ghettos. Rather than show compassion and to act on that compassion to help solve the problems, citizens in those communities began to complain about the slums and the ghettos full of Jews, and the pressure was put on the federal government to do something about curbing further immigration to those communities. Studying the problem, it became evident that the immigrants were not disbursing throughout the United States. They were primarily settling where the boat landed. If the number of Jews in a community could be kept to a minimum, it was reasoned, they would eventually fit in and there wouldn't be any Jewish ghettos. Much credit is given Galveston's Rabbi Henry Cohen for the salesmanship he used to get the port of Galveston opened as a new port of entry for immigrants And while his influence was certainly contributory, the primary reason the federal government accepted Cohen's proposal was not because he was particularly dynamic or influential or a terrific salesman, although he was all of those. It was because the immigration authorities realized that Galveston was so small and so new, that it was felt that would encourage the Jewish immigrants to eventually move inland where there would be opportunities for them. When the Jews began temporarily settling in the Galveston, they were faced with a new problem, one that hadn't existed in New York and Baltimore and Boston and Philadelphia. After all those places were north. Galveston was in the south. While the Galveston slaves had been freed some 25 years before, for all practical purposes that labor still remained, and in Galveston the slaves had been schooled and educated in trades. They weren't picking cotton. They were blacksmiths and cabinet makers and seamstresses. They could draw plans and build houses. And they could not only speak English, but they could read and write it. And they were still working for the same people and in the same jobs, just as free men now, and no longer as slaves. And they were Christians. There were black Christian churches all over Galveston. What a quagmire. The jobs the Jews knew how to do were being done very well by former slaves, and when there was an opening, given a choice, an employer would normally take a Christian black tradesman over a Jewish tradesman who couldn't speak or write English. So in the main, there was no work for the Jewish immigrants. What to do. Big warehouses were converted into makeshift living quarters for them. But worse, often they were owned and run by Christian German immigrants, and they had little regard for Jews. So the quarters were universally unsanitary; the food was terribly substandard; and frequently they were purposely served pork, a meat that is prohibited by their faith. And here, too, they were frequently beaten and otherwise berated and humiliated. Sometimes their wives and daughters were raped. But even with all of those obstacles, word was sent back to Russia that if you could endure living here, there was at least some promise it would get better, and your chances of not being killed were far better. So the Jews continued to come. 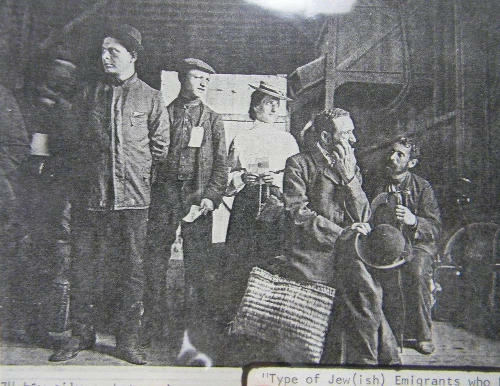 Through the benevolence of wealthy Jews of other European countries, generous financial assistance programs were set up to help those who were already here, and to help those who would follow. Things got better. And while many of the Jews did remain in Galveston and did become a significant part of the community, as predicted, the greatest number eventually moved on and settled in towns throughout the southern part of the United States. 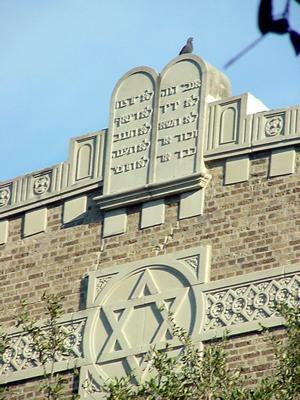 While we are often encouraged to believe otherwise, history simply doesn't support that Galveston was a sympathetic community for Jews at the beginning. The original settlers of Galveston would have been happier had the Jews not come at all. It took decades for the Island to begin to get control of its anti-Semitism. By contrast, it took no time for the Island to accept the emancipation of Christian black Americans.